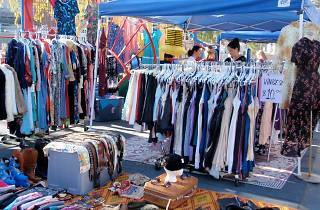 Once a month, the colorful campus of the Micheltorena school on Sunset Boulevard transforms into Silver Lake’s finest and most popular flea market. While the square footage is on the more diminutive side, this is a market that some expert-level shoppers swear by for unique, one-of-a-kind type finds. 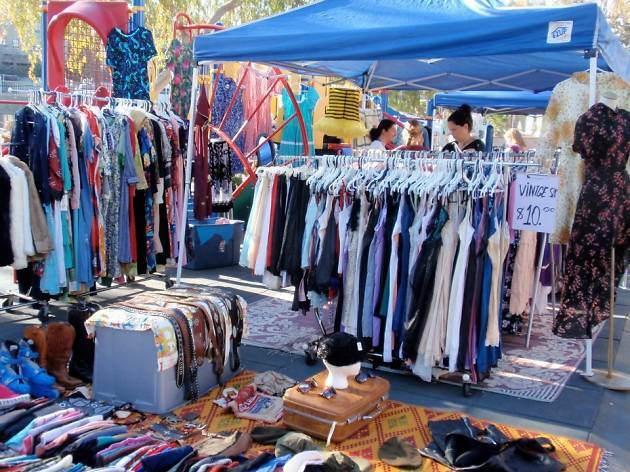 Think a small selection of stalls offering wares such as rare vinyl, crystals, handmade jewelry, well-curated vintage clothing and accessories, as well as ubiquitous tie-dyed T-shirts. Also of note are this particular market's fencing demonstrations, which are staged twice throughout the course of the day by the Silver Lake Fencing Academy.